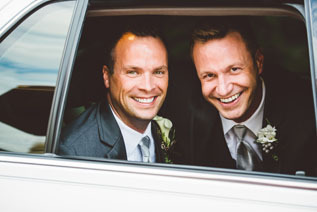 We can help you plan for an intimate evening out with just the two of you in one of our Cadillac limousines or celebrate a memorable day with a larger group in an Escalade or Mercedes Van. No matter what your engagement plans are, trust Pearl Limousine to help make it magical beyond your dreams. Call (320) 251-1101 to schedule an appointment and see our fleet of gorgeous limousines. Do you want to arrive at your wedding reception in style? With Pearl Limousine, your dream can become a reality. Our staff will work around your wedding day plans. Relax and enjoy your day while our professional drivers make sure you arrive in style. Our red carpet service helps make your day extra special. 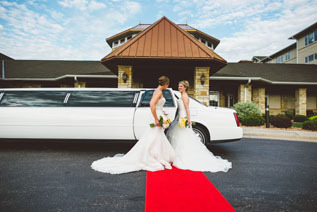 Pearl Limousine specializes in wedding transportation and has been exceeding our customers’ expectations for years. We deliver all the attention to detail that you expect and take the stress and worry out of getting to and from your wedding, photo, and reception venues. You’ll have a carefree wedding day when you choose Pearl. Are you planning a fun night out on the town? Whether you’re planning your bachelor/bachelorette party or just a fun night out on the town, enjoy it even more in an eye-catching Pearl Limousine. You can have fun all night long without worrying how you’ll get from place to place. 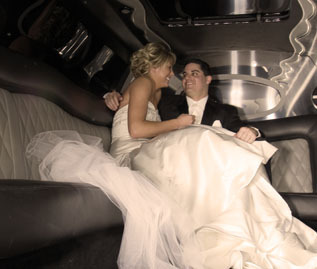 Call to schedule a limo pick-up for your engagement or wedding today!